2016 Lincoln MKX Review: Why Does Lincoln Think It Can Charge $58,000 For A Ford Edge? When the speedometer whizzes past the speed limit, the mental state of a driver ascends to a level where focus is a bit more central to the task of driving. Wandering thoughts about the purpose of life are replaced by the present assignment of keeping within the winding lines marking the road. Part of that has to do with the fact that Ruby Red Metallic paint isn’t the best color for staying under a cop’s radar. It’s also the the small dose of mistrust required by defensive drivers that highlights the need for a lengthy attention span. Except that’s not how our story begins. 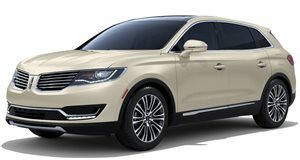 In this case, I happened to be behind the wheel of the 2016 Lincoln MKX AWD, and it was inside the cappuccino-colored leather cockpit that I finally understood the crux of Mathew McConaughey’s endorsement of Ford’s second rate luxury brand. The aim may have been to give the brand a face since the human collection of low whistles and a voice forged by Phillip Morris products fits the mold perfectly, but in reality, the commercials serve to highlight the MKX’s star trait: the ability to isolate. Separation is the common theme in this ride, but let your own eyes come to that conclusion by comparing the MKX to the Ford Edge donor car that it spawns from. 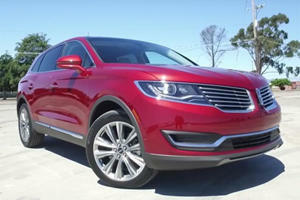 Chrome trim highlights makes the MKX look lower than the Edge and in doing so, highlights the chiseled body panels. The dorky grin of the Edge is wiped away and is replaced by the confident stare of a Lincoln grille. Inside, the differences become less apparent save for the absence of the shifter knob. Even though eliminating the protruding lever cleans up the visual clutter, the alternative is not much better. Lincoln decided to go for a push-button shifter that flanks the left side of the infotainment screen. Some automakers can get away with it by making the setup look attractive as with an automatic Aston Martin, but here it fails. Leaving it to the side of the screen where HVAC controls would usually be makes it feel like an afterthought. The letters distinguishing between PRND and Sport add to the tackiness and are large enough to make one believe that Lincoln thought only senior citizens would buy this car. Still, none of that is as offensive as the interior build. Even though Lincoln adds some pleasant-looking trim to the interior that shines in the sunlight when the panoramic roof is open, the culmination of the upgrades don’t look too special. Worse still is that they feel cheap. Panel gap and funky plastic textures are present everywhere and when reaching far down into the door handles, a sharp edge of unsmooth plastic greets curious fingers. It was plain to see that a rear portion of the plastic on the center console was peeling away even with 11,000 miles on the clock. It could be worse, but once on the road, the spotlight shifts to the driving experience. This is where the Lincoln opens up. Part of the reason for that is the heavy insulation that steals the cockpit away from the noise of the city and into a world of its own, but another part of that has to do with the 2.7-liter V6 EcoBoost with two turbochargers. Despite its size, the engine packs a punch to the gut. All 335 horsepower are routed through the six-speed automatic and out all four wheels. What makes the rush so much more fun is the 380 lb-ft of torque waiting to pounce when the throttle is coaxed. It’s no supercar, a 4,600-pound curb weight makes that painfully clear, but the MKX will surprise first time riders and can exploit gaps in the passing lane. This may seem like a bit much for a crossover chassis to handle, but adjustable dampers allow for drivers to select an experience. Buried deep in a menu are settings that allow the dampers to switch between comfort, normal, and sport mode. Normal is the optimal setting for those traversing over freeway expansion joints, through potholes, and around corners. Sport can be annoying on bad freeways but helps raise confidence levels in the corners although again, this is no supercar, just a gifted crossover. 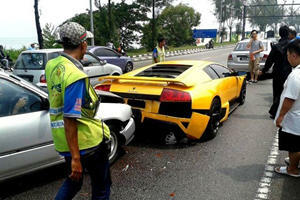 Comfort is more than suitable when those conditions are absent and spirited driving is an afterthought. In comfort, the car really does feel like an isolation chamber save for the front massaging seats. Both the seats and stereo can be controlled through the MyLincolnTouch infotainment system that, while dated, keeps a semi-intuitive nature by tasking each corner of the screen with a different set of controls that can be called upon in any menu. Along with that piece of technology, there’s a list of toys to entice buyers on the edge. These include power folding second row seats, a power liftgate, heated and cooled front seats, a heated steering wheel, heated rear seats, interior trim lighting that can change colors, and even a projector that shines the Lincoln badge on the ground when approaching the car at night. 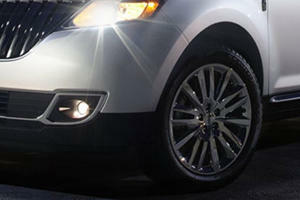 Cruise control with a radar system to automatically adjust following distance and automatic parking are options as well. Admittedly, the auto park feature wasn’t the best for tight parking spaces, but when that didn’t work, the 360-degree cameras came in to save the day. The front camera for that system emerges from under the Lincoln badge and made a few pedestrians passing by do a double take. Unfortunately, the MKX is not in a similar predicament as a car like the Kia Optima SLX, which tries to appeal to buyers with a diverse palate of extra features at a discount price. That’s because our model came with a sticker price of $58,740 including the $925 destination and handling charge. The Lincoln MKX really is the complete package, but it's a stretch to sell in a market that’s increasingly becoming more saturated with attractive offerings. When competitors in your price range include the Jaguar F-Pace and Mercedes GLC, it’s no longer enough to load up on massage seats, self-parking, a few delightful toys, and then call it a day. It certainly isn't okay to let the interior go stale with cheap plastics and uninspiring design. These harken back to the pre-crash days when American automakers got away with subpar quality. Worse still is the memory of the old practice of debuting variants that were thinly veiled renditions of lower vehicles from a sister brand. Overall, the MKX is a good attempt when considering that Lincoln hasn’t undergone an expensive brand reinvention like Cadillac. Still, if Lincoln wants to make the MKX attractive, it needs to drop the price, up the ante, or both. Hint: It's not a foreign hot hatch.